It is never too early to start planning for your future. From medical, legal to financial directives, it is important that your loved ones understand your end-of-life wishes and have the tools to fulfill them. These issues can be difficult to think about, let alone have these conversations. Yet, our friends over at The Conversation Project have made simple guides for how to start these conversations. Do I have a Health Care Proxy for if/when I am no longer able to make my own health care decisions? Do I have a will? If so, is it up to date? If my health were to deteriorate from a terminal illness, at what point would I want to go into an assisted living facility (for example, if I could no longer recognize my spouse and children, if I could no longer bath or feed myself)? What is most important to me as I think about how I want to live at the end of my life? 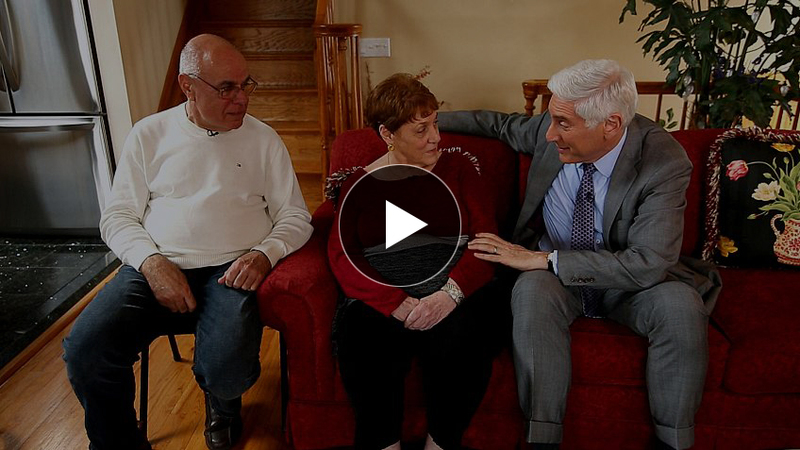 Below is a very powerful clip from 60 Minutes that shows the progression of Alzheimer’s from diagnosis to the final stages in one couple. After watching, think about how their situation could have been improved if they had concrete medical plans for Carol. The need for long-term care continues to grow as our population ages. The costs of long-term care have also continued to grow. Long-term care expenses can easily exceed $60,000.00 annually for one individual. As a spouse or child this can be very upsetting, to watch what your loved one worked to earn for a lifetime slowly dissolve into nothing. If an individual is needing long-term care, they have three options: (1) long-term care insurance, (2) privately paying cash upwards of $5,000 per month or (3) Medicaid. We have found that only seven percent of our clients have long-term care insurance. Likewise, there are not many individuals that can privately pay for care without taking a significant hit to their retirement assets. It is essential that an individual or couple understand how one or both of them may qualify for Medicaid if they have a health condition or crisis that requires long-term care. Long-term Care Medicaid is the only government program available to pay for skilled nursing home costs. To say that the rules and regulations surrounding Medicaid are complex is quite an understatement. Our firm has been navigating this maze for years and on a daily basis reviews changing policies and rules. The purpose of this article is not to give you a detailed explanation of Medicaid qualification for you or a loved one (please contact our office for a free consultation for this) but to make sure you are aware of the most important change in Medicaid rule interpretation in a decade. Medicaid determines eligibility for an individual by dividing their assets into countable resources and non-countable resources. The non-countable resources have no effect on eligibility while the countable resources after a certain point prevent the person from receiving benefits. So, for example, a home worth up to $572,000.00 is a non-countable asset while $25,000.00 in cash is a countable asset. In its simplest terms, getting someone qualified for Medicaid is a matter of either spending the countable resources or converting the resources from countable to non-countable assets. In the example above, we need to “spend down” $25,000.00. That could be spent by privately paying for care at the nursing home or it could be used to make improvements on the home, thus converting countable cash into a non-countable asset. Why does this matter to you? For the vast majority of Americans, the two largest personal assets a family owns are a home and an Individual Retirement Account (“IRA”) or other type of qualified retirement account (401k, Thrift Savings Plan, etc.). As discussed above, the home is a non-countable asset. IRAs, or other retirement accounts, however, are generally countable. Imagine a surviving spouse owns her own home and has $100,000.00 in her IRA that was rolled over from her spouse upon his death. If this individual needs long-term care, Medicaid will not pay for her until her countable assets are below $2,000.00. She would start making sizable withdrawals to cover the long term care costs and that IRA will deplete to nothing in under two years. Similarly, imagine a husband and wife where one of them needs long-term care and they own a home, car and IRA worth $300,000.00. Medicaid would expect this family to deplete that IRA to $100,000.00 before they pay for the spouse in the facility. The remaining spouse now has to live her last years on one third of the retirement she had planned on. It no longer has to be this way. Due to a recent change in the interpretation of Texas Medicaid Policy, IRAs and other qualified accounts may be treated as either countable or non-countable simply because of the investment structure. Medicaid policy has a section on what they refer to as “Employment and Retirement Related Annuities.” In this section, it defines a Retirement Related Annuity as any type of annuity governed under Section 408(a), (b), (c), (k), (p) or (q) or under 408A of the Internal Revenue Code. These sections cover ANY annuity held in an IRA, SEP, SIMPLE or Roth. More importantly, the rule clearly states that Retirement Related Annuities are NOT a countable asset for Medicaid eligibility purposes. This means that virtually any qualified annuity is no longer a countable asset for Medicaid under the new rules. So let’s look at our examples again. That widower with a home and $100,000.00 IRA merely needs to purchase an annuity for $100,000.00 and that asset will not have to be spent before she qualifies for Medicaid. Likewise, the married couple with a home, car and $300,000.00 IRA need only purchase a $200,000.00 qualified annuity and the spouse in the facility can qualify for Medicaid while the retirement assets are preserved for the spouse at home. The timing of the purchase of an annuity is critical for Medicaid qualification, and if not done correctly and at the correct time may not have the intended result. Therefore, implementation of this type of Medicaid planning should only be done on the advice of an elder law attorney that can advise you on the correct method and timing of implementation. The Elder Law attorneys of Ross & Shoalmire, LLP have been advising clients on long-term care asset protection and estate planning for years. We assist clients across Texas and Arkansas with Medicaid, Veteran Benefits, Wills and Trusts daily and have a dedicated team of elder law attorneys and Medicaid/VA case workers that can help guide you on the right path to protecting your resources. Contact us today for a free consultation.